New and Used Commercial Work boats and Recreational Yachts for Sale. "Where Motivated Boat Buyers & Sellers Connect"
"Licensed & Bonded Ship Brokers .... Since 1991"
"Licensed and Bonded Ship Brokers offering work boats and recreational boats for sale"
Workboats-USA is the commercial vessel sales division of Yachting’s Finest, Inc., a licensed and bonded Florida Yacht & Ship Brokerage firm since 1991. We provide our diverse group of marine construction and oilfield clients significant results and professional one on one representation throughout the buying, selling or leasing any of commercial vessels for sale.. When considering any New or Used Commercial vessels for sale or lease, we invite you to to work with our professional consultants. We also offer liftboats and utility vessels for sale along with PSV (Platform Supply Vessels) & OSV’s (Offshore Supply Vessels) for sale, so take the next step by Calling or Texting Bob Carlson at 954-224-2628 If you prefer, please Email: bob@workboats-usa.com for a confidential consultation. Yachting’s Finest Sport Yachts division. 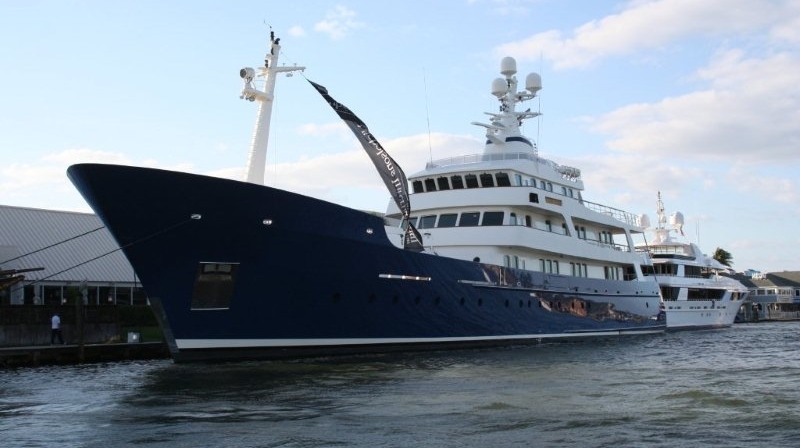 has operated as a licensed and bonded Yacht & Ship Brokerage firm since 1991. We pride ourselves in providing our distinct group of clients significant results and professional one on one representation when considering building, buying or selling a New or Used Sport Yacht or Offshore Performance Boat. Take the next step by calling or texting Bob Carlson, President of Yachting’s Finest at 954-224-2628 . The experienced, licensed and bonded consultants at Yachting’s Finest, Inc. have been leading the way in sport boat and sport yacht sales and marketing since 1991. We offer new and used Pershing, Riva, Sea Ray’s, Azimuts, Sunseekers, Mangusta and Palmer Johnson custom sport yachts for sale. For more excitement, consider one of our offshore Cigarette, MTI, or Midnight Express performance and center console boats on sale at Overstockboats.com. 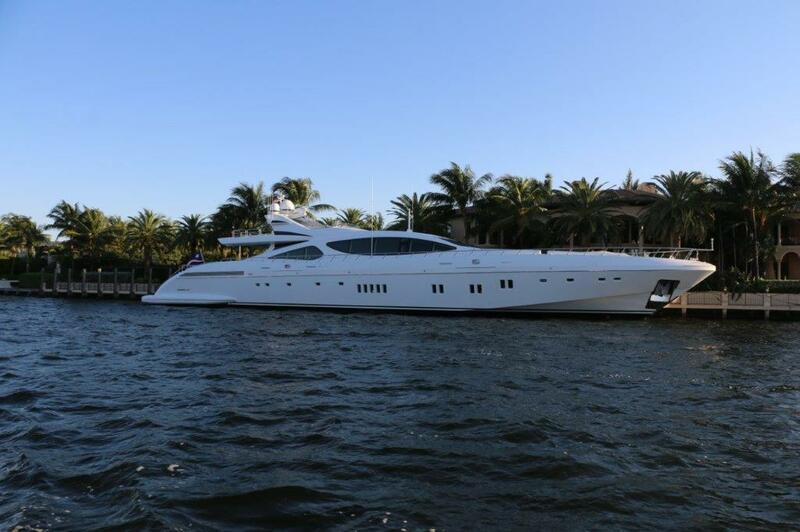 Yachting’s Finest, Inc. is a licensed and bonded Yacht and Ship Brokerage and Consultant firm. Its affiliates are Overstockboats and Workboats-USA. who assist buyers and sellers of new and used commercial vessels and recreational boats for sale. Our commercial vessels division, Workboats-usa.com buy and sell supply boats, barges, landing crafts, crew boats , offshore fishing vessels and a variety of used work boats. Our recreational yachting division promotes the sale and purchase of high end sport fishing boats. including Viking, Bertram and Hatteras. Workboats-USA focuses on assisting marine construction companies locate tug boats for sale, which include new and used truckable tugs, push boat tugs and model bow tugs for use while reconstructing Americas bridges and waterways. 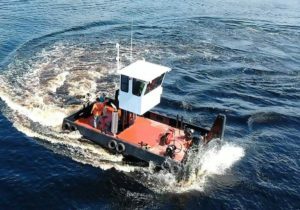 Truckable push boat tugs under 26′ allow operation without a USCG captains license. Our commercial fishing boats do not need an operators license unless on charter to a paying customer. We also offer ship brokerage services to buyers and sellers of Utility boats, Offshore Supply boats that are extensively used within the oilfield maintenance and sustenance industry. We are distributors for Passenger boats, Car-Passenger Ferries and Fast Ferry vessels. The team at Workboats-USA also oversee the build of new passenger boats, new pushboat tugs and the retiitting of used commercial boats , yachts and sport yachts for sale and charter, Our recreational division, Yachting’s Finest. Inc., specializes in Superyacht and Mega Yacht sales and charters. Many of our clients have interest in buying and selling high end express cruisers including Sea Ray, Tiara, Hinckley and Monte Carlo. As Worldwide freight logistics agents, our team at Workboats-USA offers cargo boats for sale and charter, ROLO vessels, ROPAX vessels, Reefer ships and Container ships in the USA and throughout the world., We are much aligned with marine civil engineering and waterway transportation companies supplying Inland waterway tugs, harbor tugs, tractor tugs, as well as Used truckable push boat tugs for sale. We are distributors for builders of new truckable tugs and a variety of workboats,. ABS barges are now in high demand as our nations roadways are overcome with traffic and in disrepair. Other barges used in the marine construction industry include our expanding inventory of spud barges, sectional barges, deck barges, lift boats and jack up barges for sale in the Gulf of Mexico and the East Coast and West Coast of the USA. Close direct contact with major oil industry firms in Scandinavia and South Africa allow Workboats-USA to provide our clients with purchase , sales and marketing expertise inclusive of fast crew boats, OSV’s. PSV’s, Anchor handling tugs, AHTS tugboats and offshore support vessels for sale, Our wide selection of Used Commercial Fishing Boats include freezer trawlers , snapper boats and used shrimp fishing boats. Additional work boats for sale include a large selection of second hand boats, aluminum and steel landing crafts, long line fishing boats and deep sea boats. We have recently expanded operations to include large cargo ships , deep sea commercial fishing vessels and big ships. We have a vast supply of commercial fishing boats for sale east coast, commercial vessels in the Gulf of Mexico, fuel tankers and used marine tankers for purchase worldwide. View Overstockboats.com for used freight ships, container ships, geared cargo vessels and a list barges with photos to include double skin barges and used spud barges in the United States. In stock are used cargo barges with ramp and Steel Landing crafts . We now have boats for sale on the west coast, fishing vessels on the East Coast, as well as commercial passenger boats and commercial crab and lobster fishing boats in the United State.